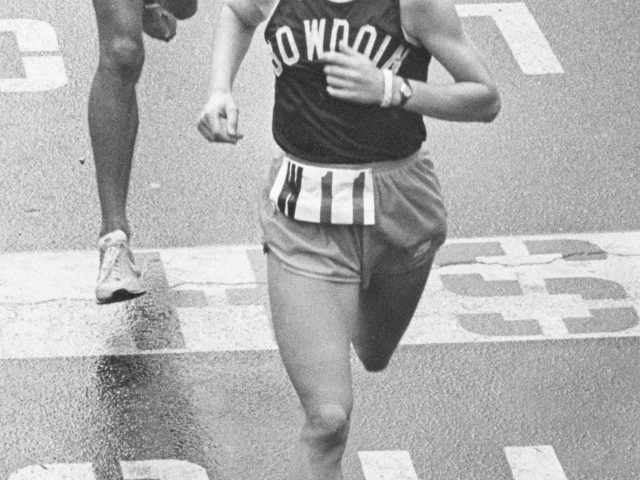 When Joan Benoit Samuelson ’79 returned to campus after winning the Boston Marathon the spring of her senior year, she received a standing ovation in Thorne Hall, then the senior center. 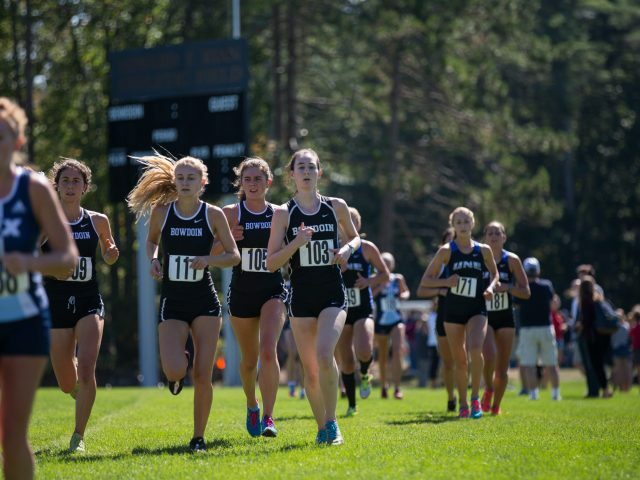 Sweaty and tired from her 2:35:15 finish, she soon learned that much of campus had watched her on television as she crossed the finish line in a Bowdoin singlet. 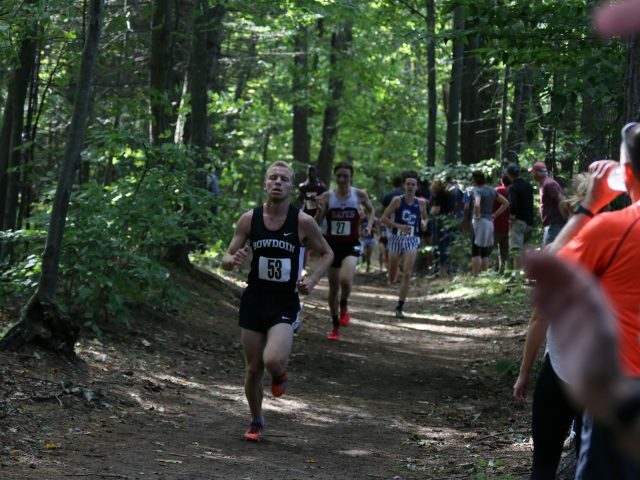 On September 29, the men’s cross country team took to its first race with fresh legs and a new mindset after a long and grueling summer of training. 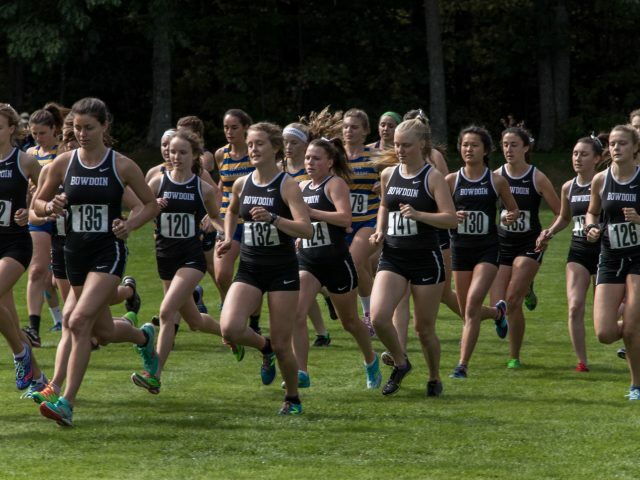 The arduous work of running eight to 14 miles a day—for some at 5 a.m. 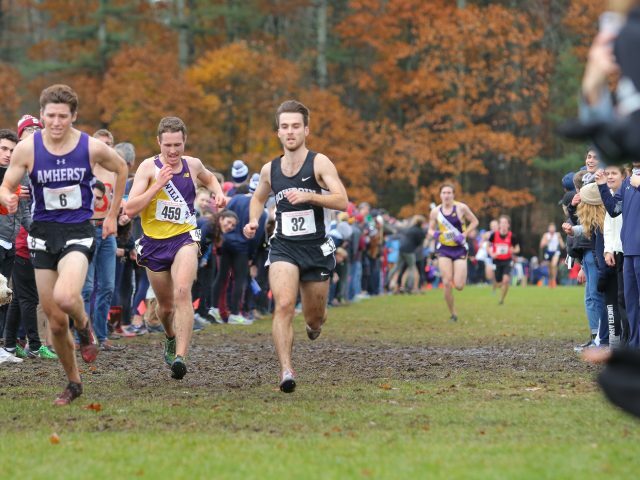 Racing in the New England Regional on the fairway of a golf course last Saturday, men’s cross country captain Ben Torda ’18 placed seventh, qualifying for the NCAA Division III Men’s Cross Country Championship which will be held in Illinois. 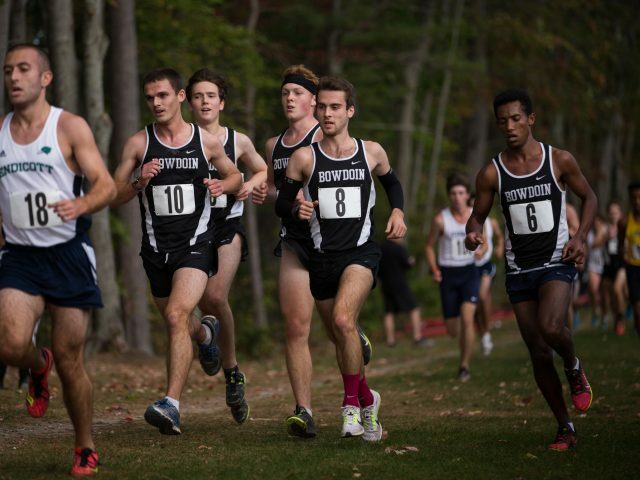 While most students enjoyed a well-deserved break from college life last weekend, Bowdoin’s cross country teams travelled to Boston to compete against fellow NESCAC and some Division I teams in the New England Invitational after placing first in both the Bowdoin Invitational I and II.